Medicine Cups | 1 oz., 2 oz. 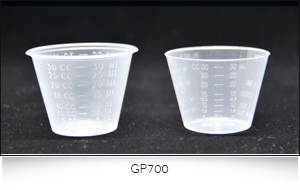 Graduated 1oz/30mL and 2oz/60mL medicine cups have a tapered flexible design providing safe and accurate measurement of medications and solutions. All medicine cups are latex and BPA free.